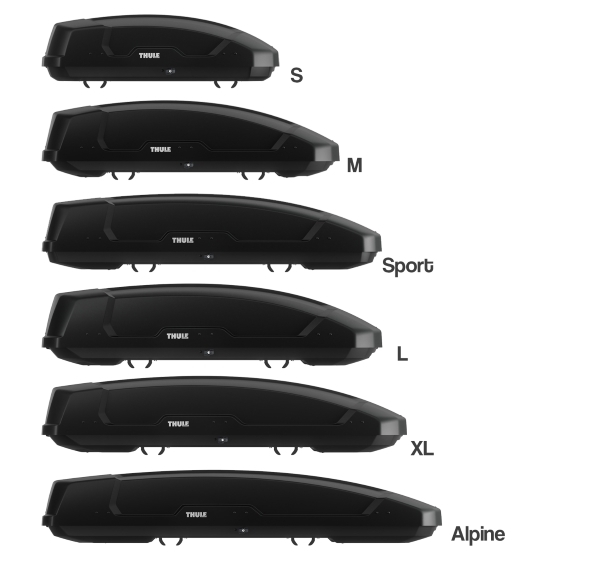 A versatile and rugged range of car top boxes featuring dual-sided opening and Powerclick fittings for ease of use. Stylish Black Matte colour with 6 size models available. 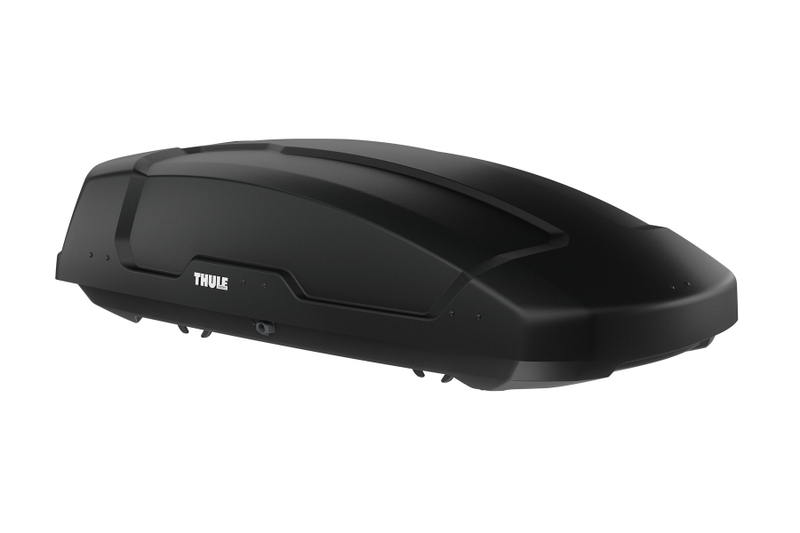 A versatile range of top boxes from Thule, featuring a tough rugged design and stylish looks to match modern car design. 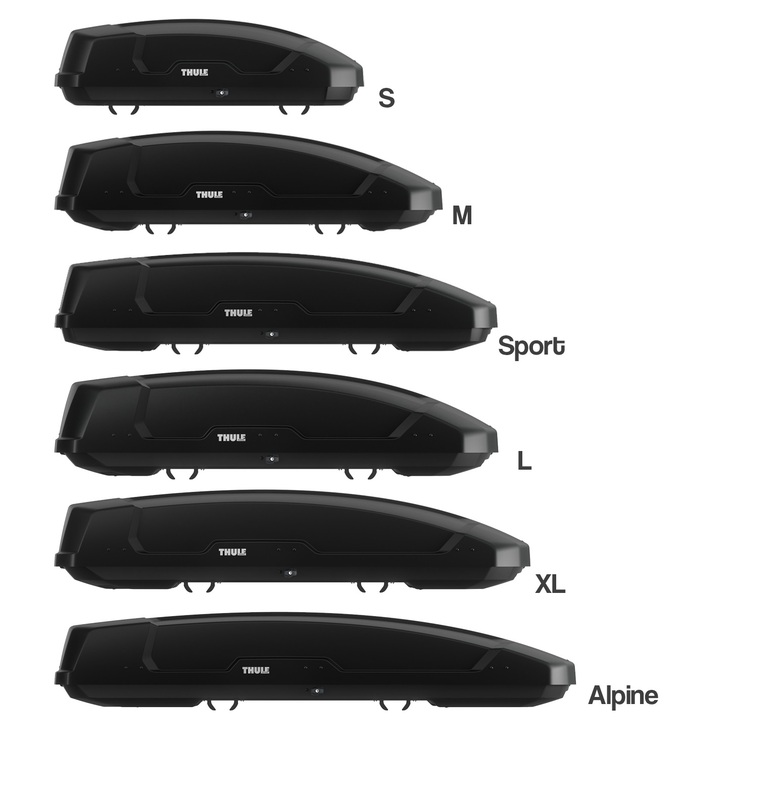 The range features 6 models offering storage volumes between 300 and 500L. The Force XT has dual-sided opening meaning that you can access your gear from either side of your vehicle. 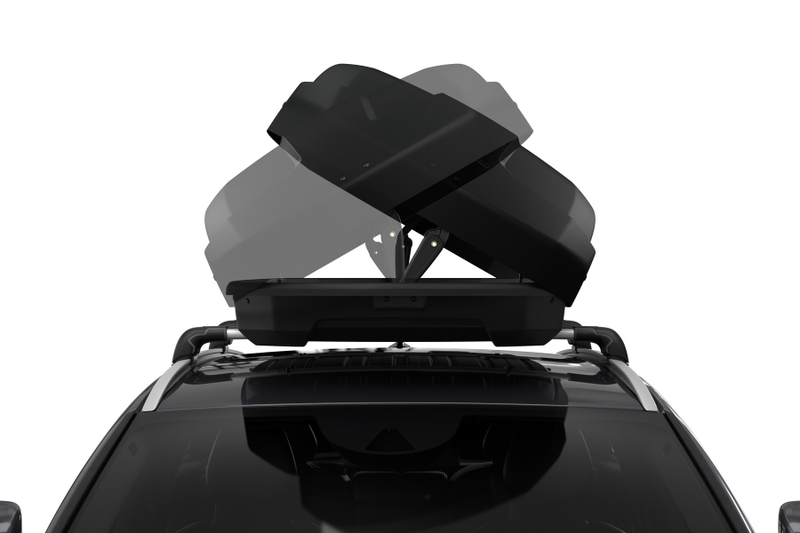 Powerclick quick-mount fittings make it easy to fit these roof boxes to your roof rack. The built-in torque-limiter will click once the box is correctly secured to the bars. 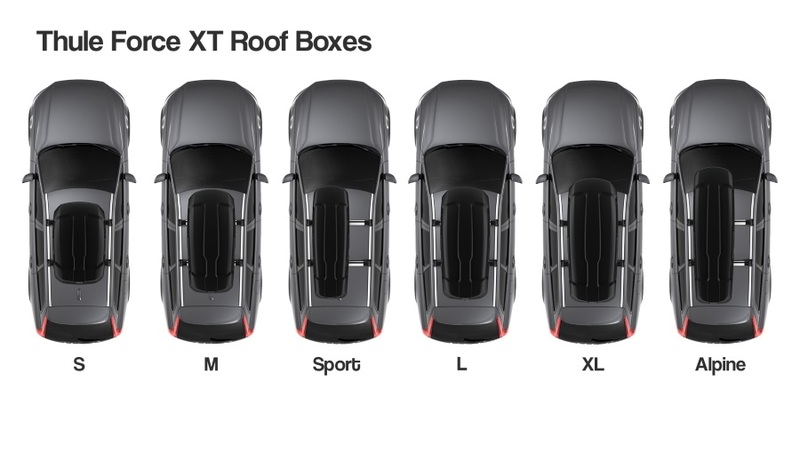 The forwards positioning of the top box on the vehicle will allow for full boot access, without hitting the box. 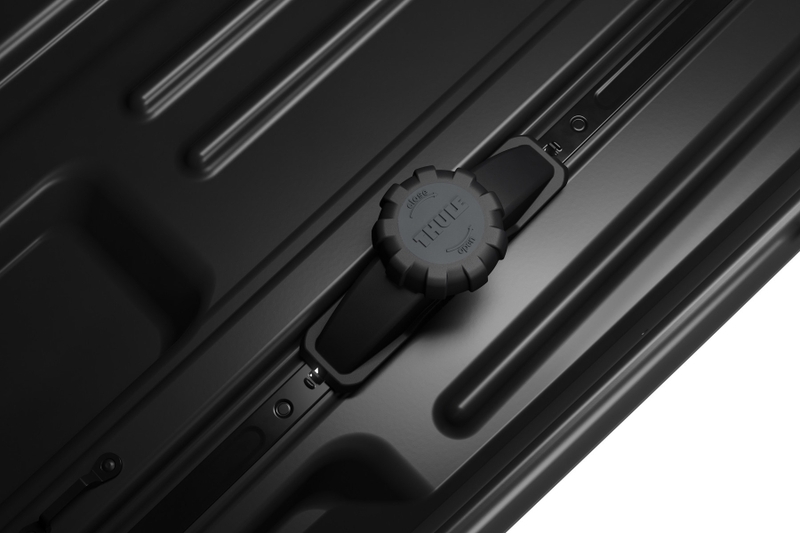 The Force XT is lockable featuring a LockKnob which intergrates the Thule Comfort Key for easy locking and unlocking. 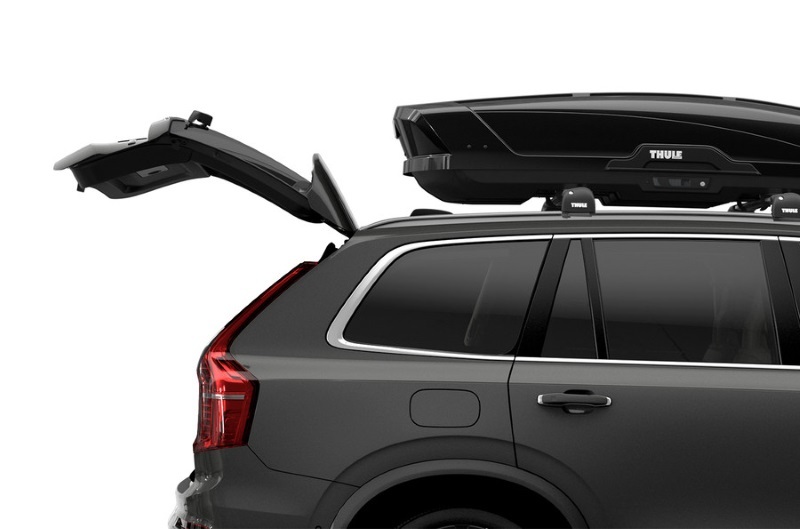 Fits Thule SquareBar, Wingbar and WingBar Evo, AeroBar, ProBar and a range of other square, rectangular and aerodynamic profiled roof bars. 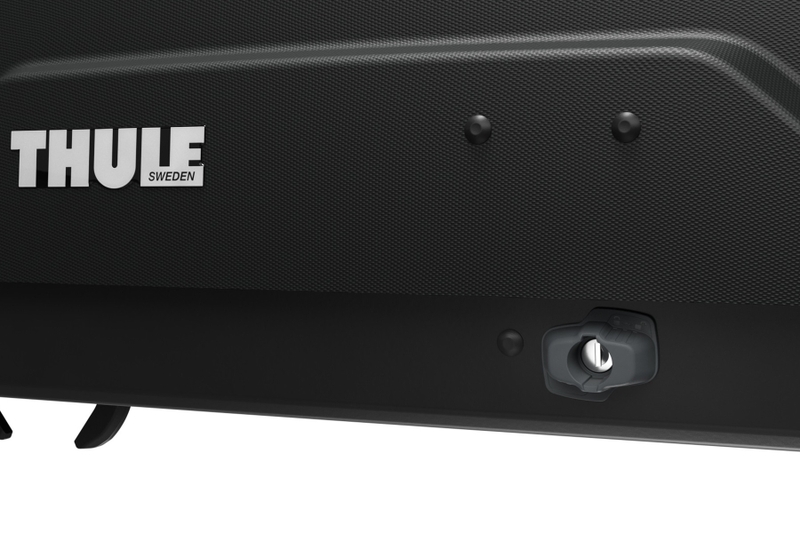 Will also fit Thule SlideBar with the optional adapter 697-6. * IMPORTANT NOTE - Video may not show the current model for the Thule Force XT. The Thule Force XT is available for in-store collection only. Buy online from our website and collect from one of our nationwide branches.